Here are several things from food, books, exercises and blogs of which you should be aware. This is information and exercise that will improve your health and performance. MobilityWOD.com or Mobility Workout of the Day is a blog from Dr. Kelly Starrett. Kelly is a San Francisco-based physical therapist and Crossfit affiliate. 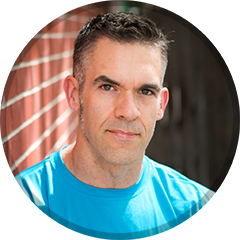 His blog is chock full of how-to videos designed to improve your movement and fend off or overcome injury. Just the other day I watched Tight Ankles = Bad Squatting. I tried the drill and my years-long on-again-off-again right ankle pain was gone! Gotta love instantaneous results! Okay, read this book only if you’re a fitness or injury rehab professional. Diagnosis and Treatment of Movement Impairment Syndromes is a tremendously detailed text on how to identify and fix movement problems. I’m wading through it right now and it’s a challenge but the information is amazing. If you’re in the fitness/rehab industry, definitely get this book. Dr. Sahrmann’s second book is Movement System Impairment Syndromes of the Extremities, Cervical and Thoracic Spines. I’m looking forward to that one too. The author, Shirley Sahrmann, DPT is a pioneering, award-winning physical therapist. She’s a professor at the Washington University School of Medicine in St. Louis. Vitamin D is important for a wide range of healthy human functions. Vitamin D is a key component of calcium absorption and thus bone health. Low levels of Vitamin D are associated with asthma and some cancers. It seems to offer a protective effect against multiple sclerosis and it boosts immune function. Unfortunately Vitamin D doesn’t show up naturally in too many foods. Some foods are fortified with Vitamin D but supplementation may be the best way to ensure adequate Vitamin D intake. Humans with sufficient sun exposure have the ability to manufacture Vitamin D. It’s still cold in much of the country so that means minimal sun exposure–so there’s a good reason to supplement. (Interestingly, using to much sun screen too often may be problematic in Vitamin D production. Like many things, eliminating sun exposure may be unhealthy. Don’t be terrified of the sun.) Further, people with dark skin and older folks have a tougher time manufacturing Vitamin D.
Recommendations vary but it’s from 2,000 and 5,000 IU per day from supplements and sun is a good idea. Big men need more Vitamin D than small women. Picking up heavy things off of the ground is something homo sapiens have been doing since… well… before we were actually homo sapiens. As long as there’s gravity we’ll keep doing it. That’s what the deadlift is: pulling a weight off of the ground from a dead stop. The deadlift isn’t just for powerlifters either. It’s a tremendous total-body strengthening exercise that anyone can do with proper coaching. If you learn to deadlift then you’ve learned to use good body mechanics to lift an object. Here’s a good instructional article on the deadlift from Stronglifts.com. And here’s a rather poetic video on the deadlift from Crossfit. Coconut oil seems to carry a whole raft of health benefits. Weight loss, improved immune function, better digestion, favorable cholesterol profile are a few of the likely benefits of coconut oil consumption. You can cook with it, put it in smoothies, rub in on you skin and put it in your hair. What other product is so versatile?